Now, lets get started with another tutorial on our WordPress beginner series. 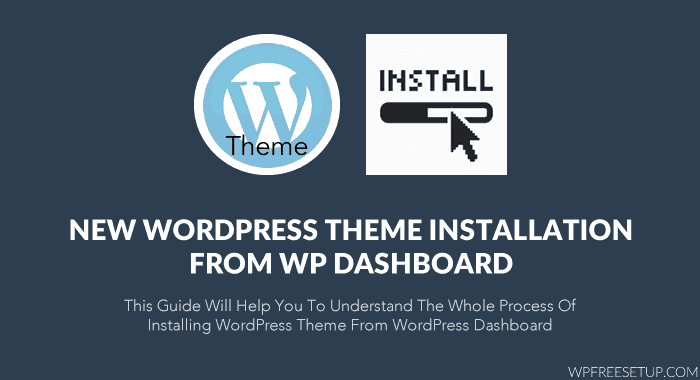 So, once you have downloaded the WordPress theme, login to your WordPress dashboard. Click on Appearance > Theme. Click on Install Theme. On the next page, click on upload and it will bring you up on upload theme screen. Simply click on browse and locate the .zip file of WordPress theme you have downloaded. Select and click on Install now. It might take a minute or two, depending upon the size of theme and your internet speed. Once done, it will show the installed theme screen. Before activating the theme, you can click on “Live preview” to see how theme will look before activating it for everyone. Once you are satisfied with the look and feel of theme, you can click on activate, and your newly installed theme will be live for public. Though, if you wish to make some changes into theme before making it live on your site, you can use Theme test drive WordPress plugin. Another way to install WordPress theme is by uploading it directly via FTP, but again that will be a long process and it’s useful when you don’t have a .zip file of your theme. Though, you can always archive your theme in .Zip format and install it from dashboard. If you wish to learn, how to install WordPress theme manually or via FTP, you can refer to official doc here or you can let me know and I will write a tutorial for the same. 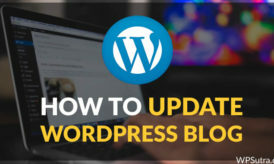 As I mentioned you earlier, using WordPress is easy, and I hope this tutorial will help beginners to get one more step closer to WordPress. 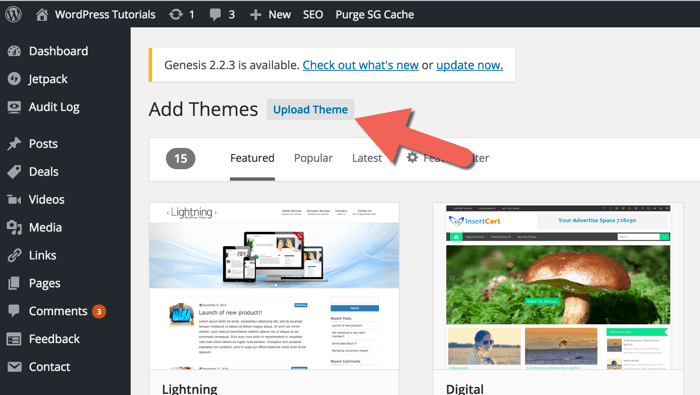 In new version there is no option to Install themes, Is there any other way to install themes on WordPress? In your cPanel enter the File Manager under the “Files” section. Expand folders public_html — > myblog (optional) — > wp-content — > themes. Download the theme onto your hard disk. There is no need to unzip it. find the icon “Upload” in the File Manager and upload the theme to the themes directory. Click on the “Extract” button to unzip the theme archive. Return to the admin area of WordPress site. click on it to activate it. Bingo you have done …………. Can you make a detail post on this, where I can see pictures of how you do it? struggling to find a way on how to add a zip theme onto wordpress as there’s no options. Thanks Harsh for sharing about WordPress in so much detail. 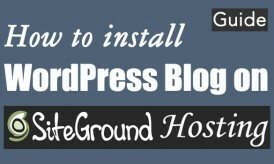 I never knew that WordPress is that much easy to use before reading your blog.